Take-Two Interactive won a default judgement against the ‘Elusive’ cheat creator Jhonny Perez. Court has ordered Perez to pay $150,000 to the company for copyright infringement. GTA V ‘Elusive’ cheat creator ordered to pay $150,000 fine to Take-Two as damages. Take-Two Interactive won a default judgement against the cheat creator. As per the company, the cheat caused at least worth $500,000 of damages. Games and cheats have gone hand in hand for as long as one can remember. However, it was not a big deal back in the day when most titles were offline single player. Now, things have changed drastically since most games these days are online and multiplayer, where using cheats puts honest players at a disadvantage. 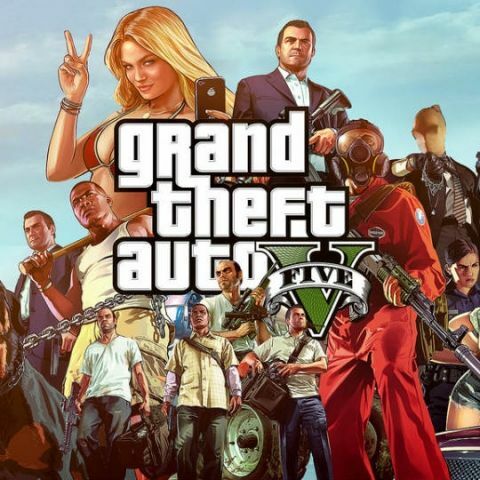 Grand Theft Auto V is one of the most popular online games that, on an average, has around 55 thousand players, as per Steam charts. With cheats and mods, some players gain access to unlimited resources and the creator of one such famous cheat called “Elusive” for GTA V has been ordered to pay $150,000 in damages to Take-Two Interactive, the parent company of Rockstar Games. Take-Two Interactive has won a default judgement against the ‘Elusive’ cheat creator Jhonny Perez. As per a report by TorrentFreak, the court said that the cheat caused irreparable harm and Perez, against whom the video game company had filed a case in August last year. Perez was accused of copyright infringement by creating and distributing the cheating tool that could be used to cheat and bully or interfere with other players’ gameplay. As per the report, Elusive cheat was priced between $10 to $30 depending on the level of functionality one opted for. Take-Two reportedly tried negotiating a settlement before dragging Perez to the court and also tried to find out how much he earned by selling the cheat. However, as he is said to have not responded to the complaint, Take-Two filed for a default judgment. The company then asked the New York federal court to fine Perez with the maximum statutory damages, amounting to $150,000 (Rs 1.06 crore approx), along with $69,686 in attorney fees. As per the company, the cheat is estimated to have caused damages of at least worth $500,000 and this ruling by the court should act as a deterrent against other cheat developers. “Take-Two has been irreparably harmed by Mr. Perez’s infringing conduct and will continue to be harmed unless enjoined,” US District Court Judge Kevin Castel writes the court order. “Mr. Perez’s Elusive program creates new features and elements in Grand Theft Auto which can be used to harm legitimate players, causing Take-Two to lose control over its carefully balanced plan for how its video game is designed to be played.” Perez has also been issued a permanent injunction that bans him from making any cheats or hacks based on Take-Two’s games.